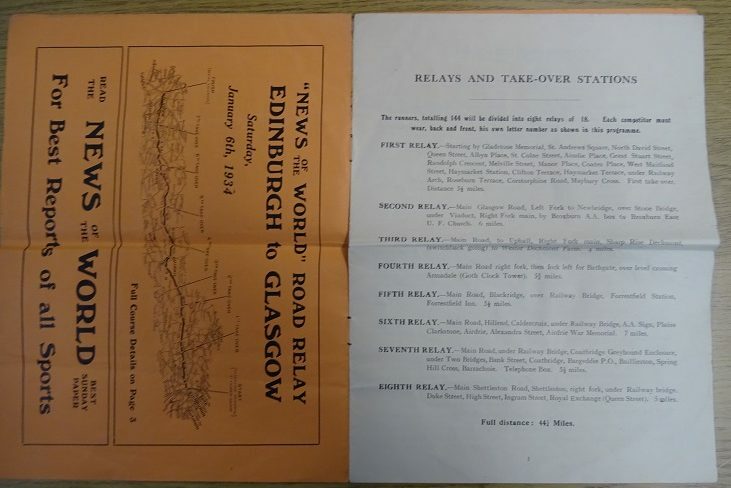 Before the 1939-45 war, the programmes were as above with a rough, sturdy cover and all the details including route, etc, inside with no illustrations inside. 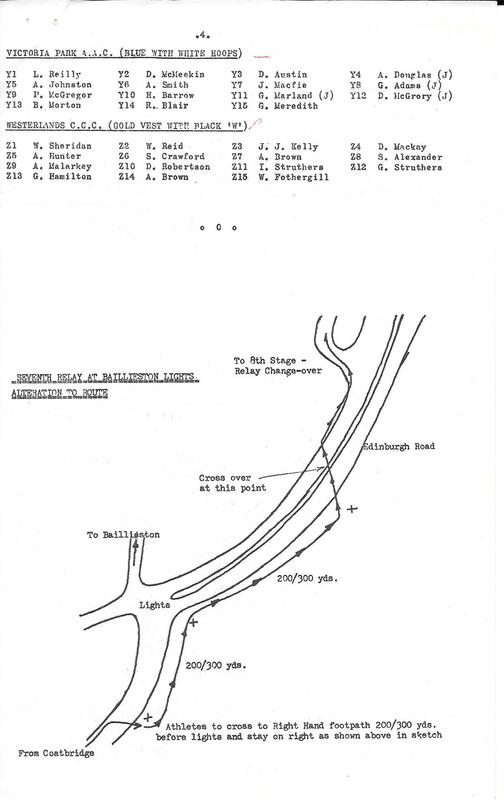 PP six and seven are omitted for now because the original photographs are blurred but the programme of the period is well illustrated by what is here. 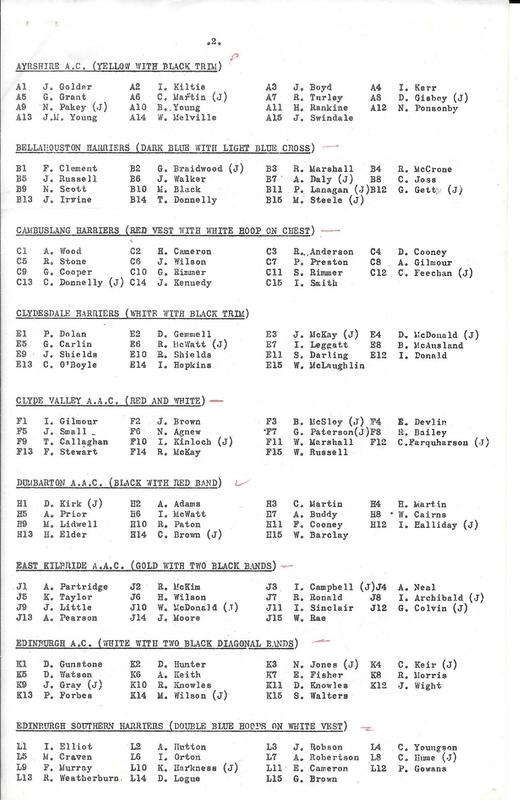 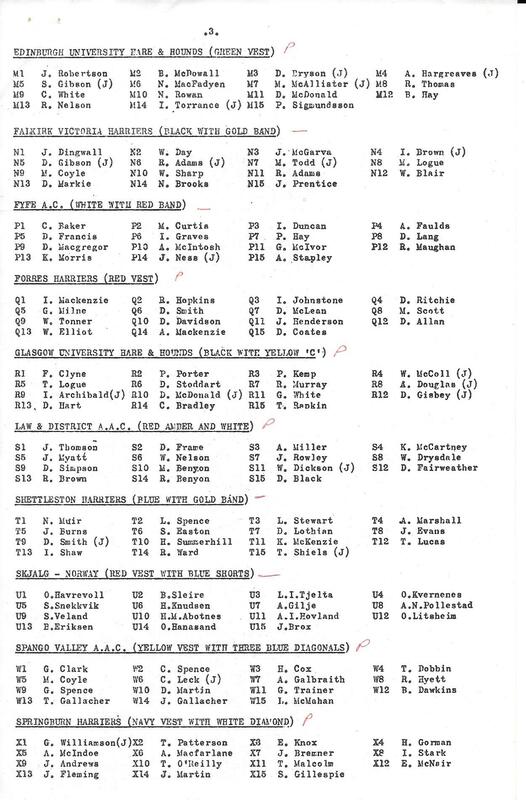 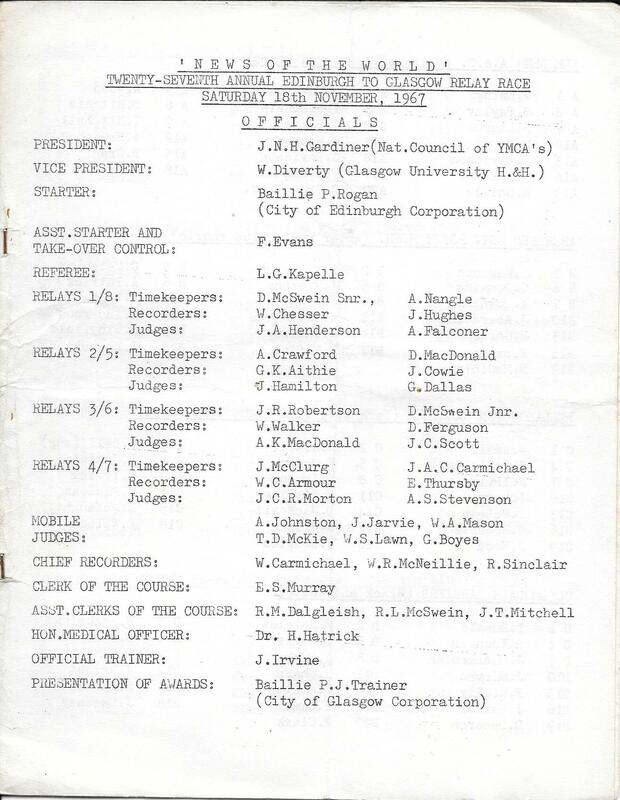 The first inside page listed the officials _ note the number and the distribution of jobs. 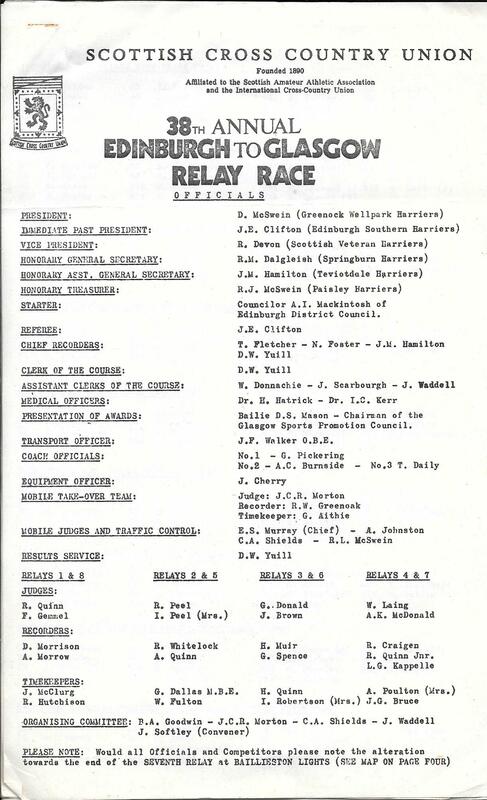 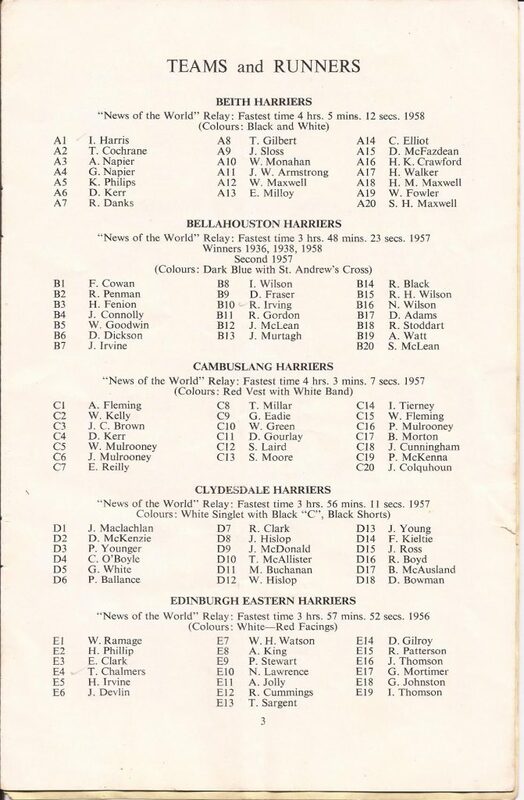 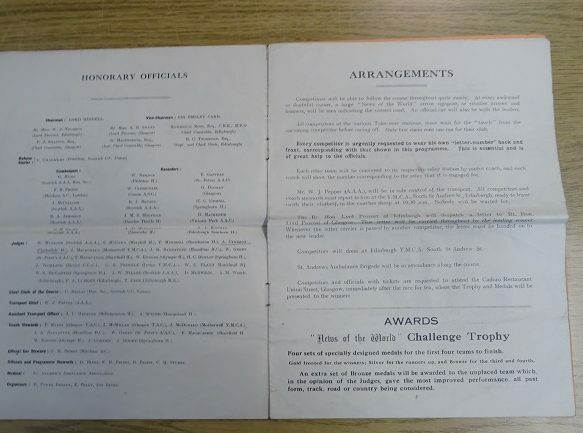 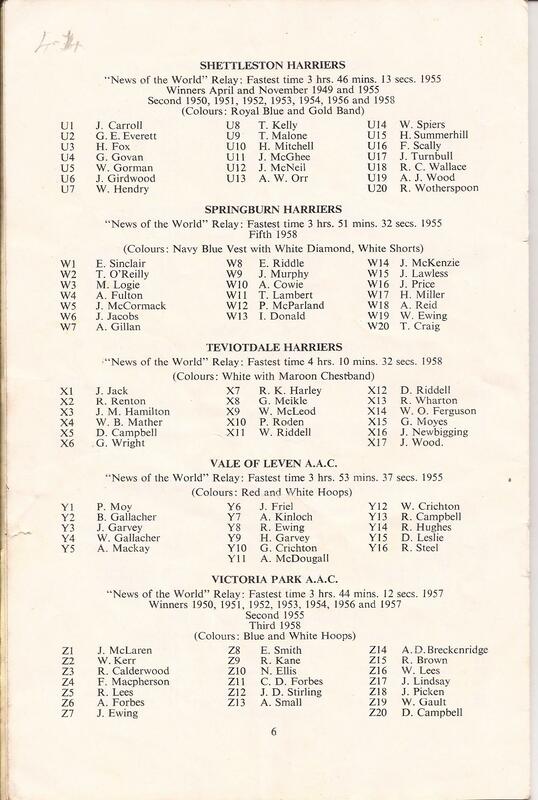 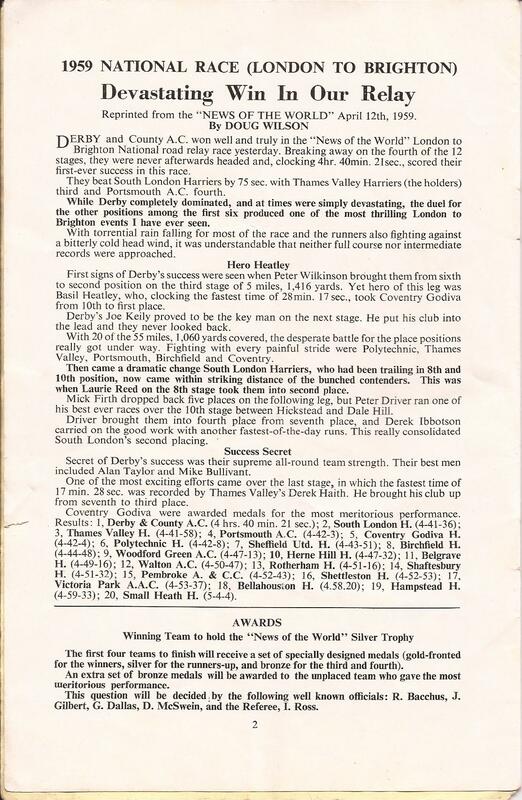 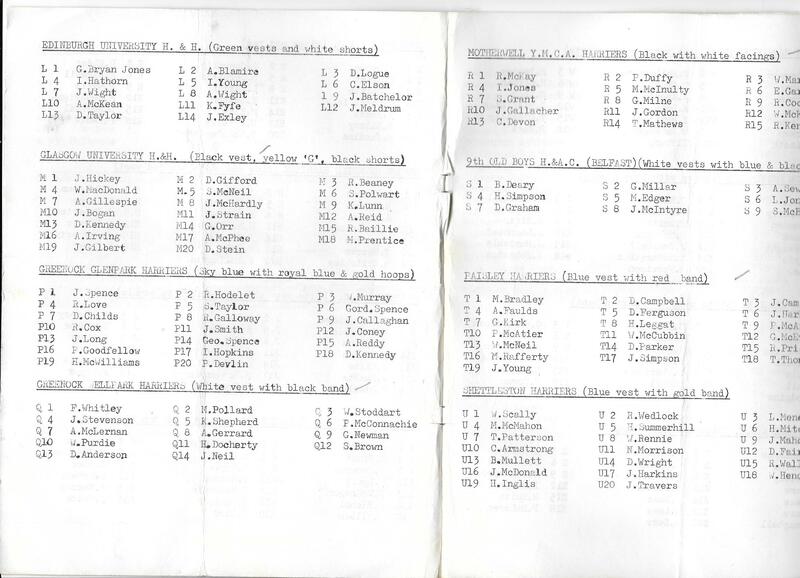 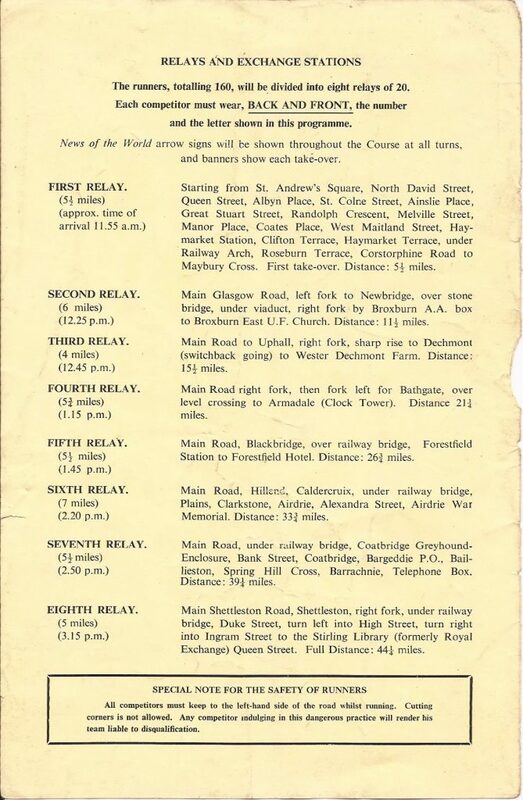 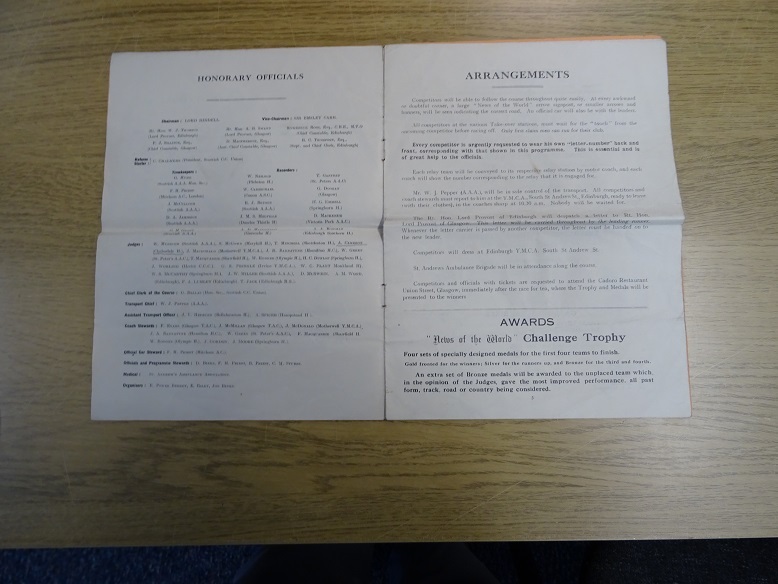 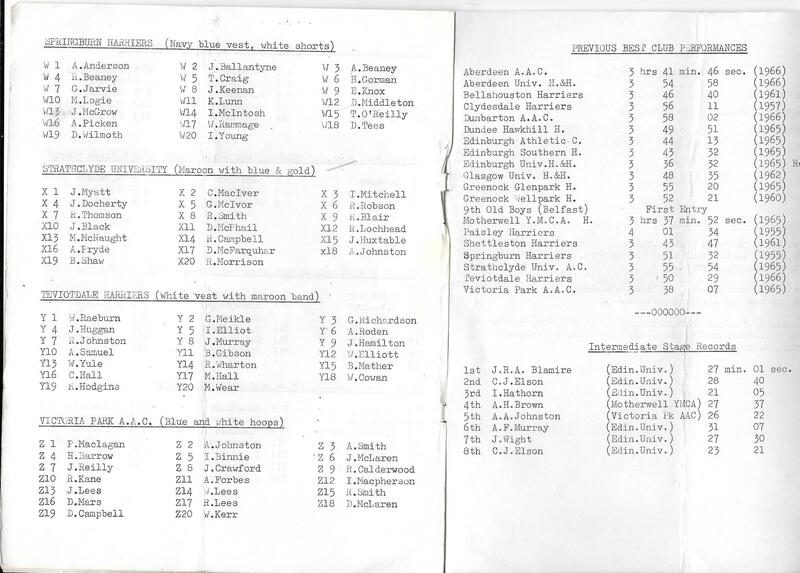 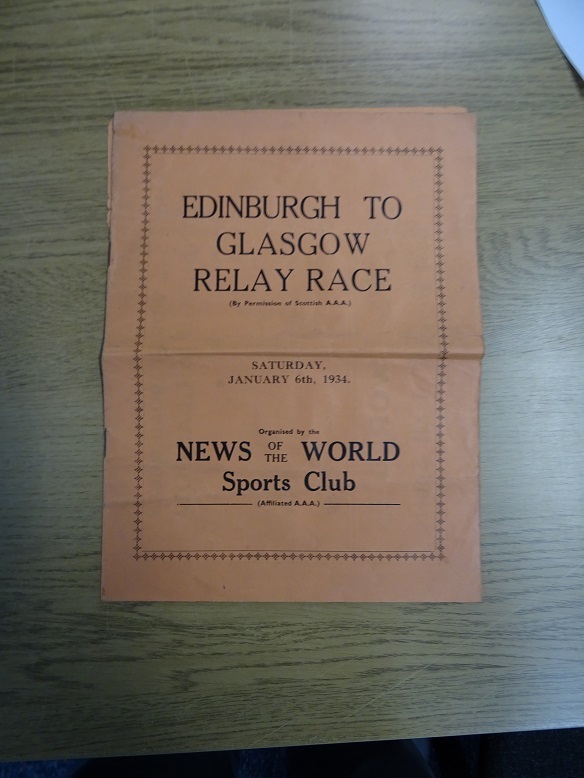 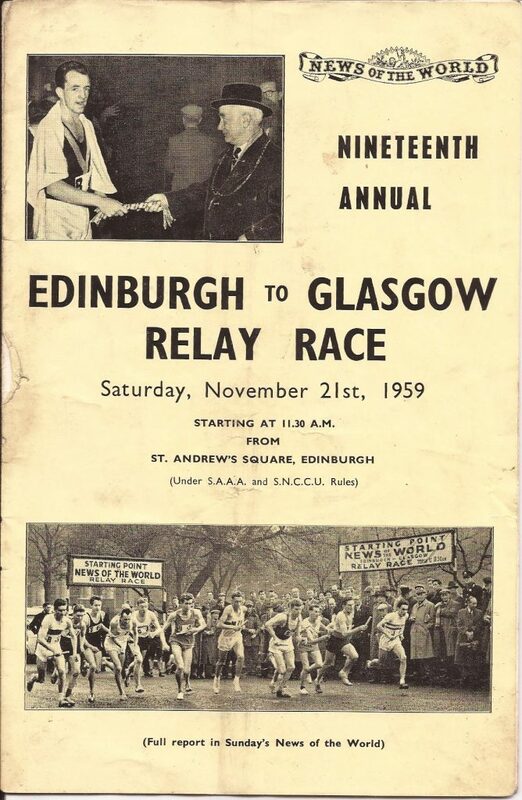 There were four inter-city relays in the country and the top two or three in each race were invited to contest the London-Brighton relay at the expense of the sponsoring newspaper. 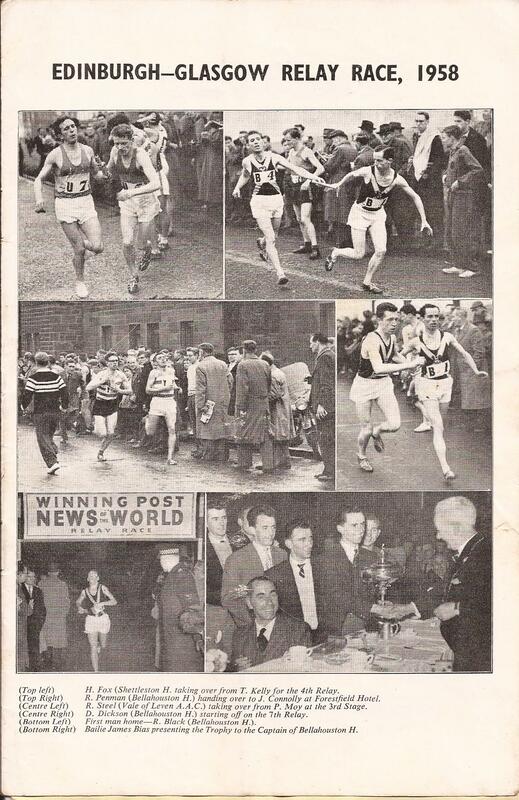 Then there were the clubs in the race, their runners and their previous best performances. 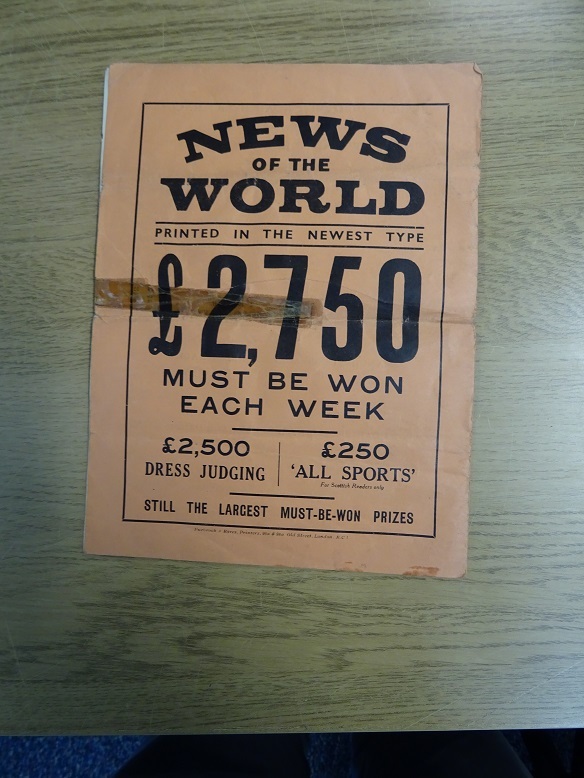 The back cover was always a plug for the News of the World – and they earned every penny of the publicity! 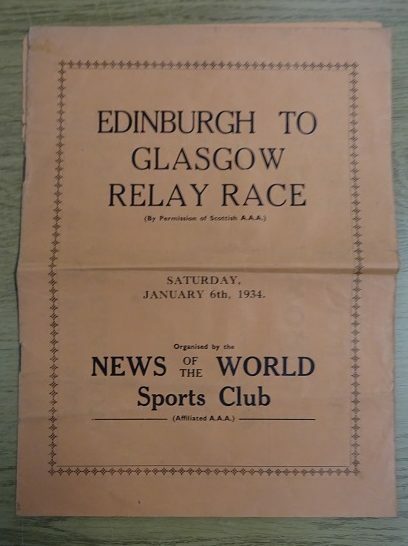 Sponsorship doesn’t come much better than that. 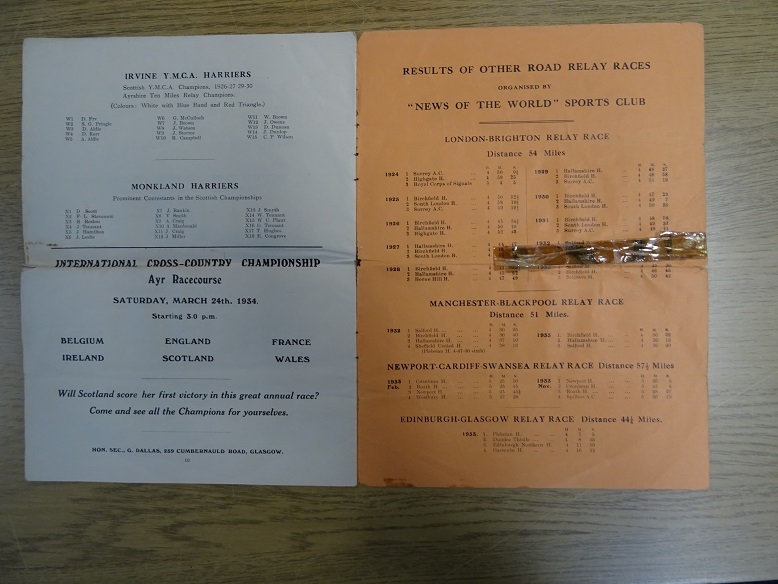 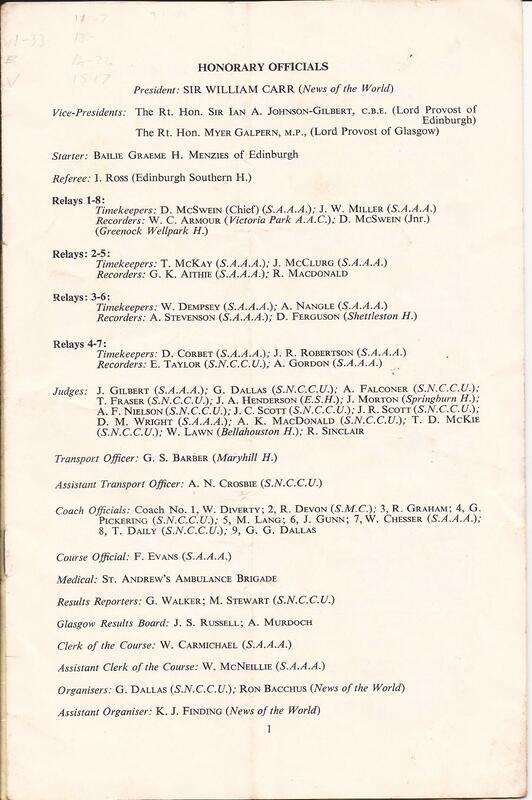 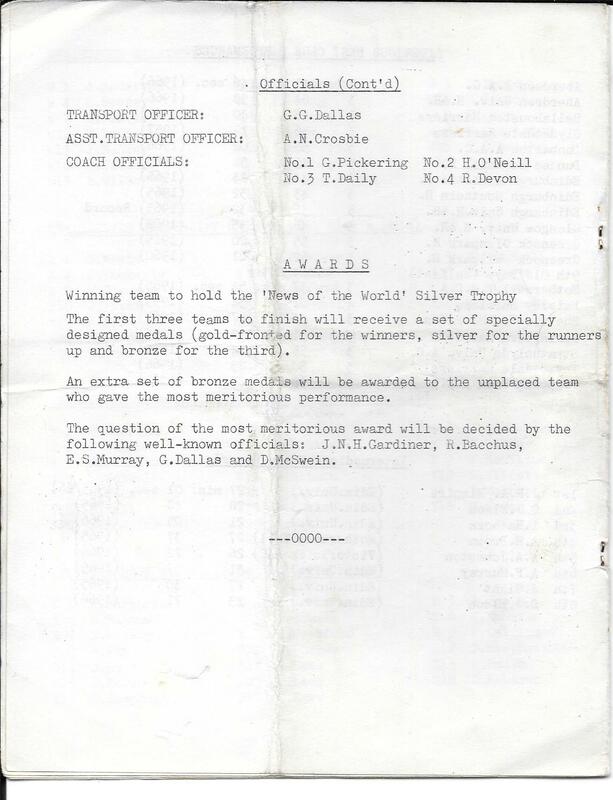 But the cost of the sponsorship – eight buses for athletes, limousines for officials, production of results en route, the meal and presentation at the finish and so on became too much even for the News of the World and the operation was scaled back in 1967. 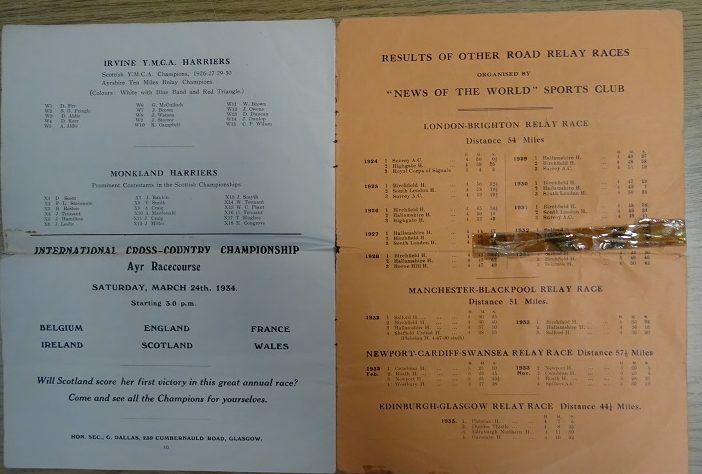 The revamped programme lkooked like this and was printed on ordinary foolscap paper. 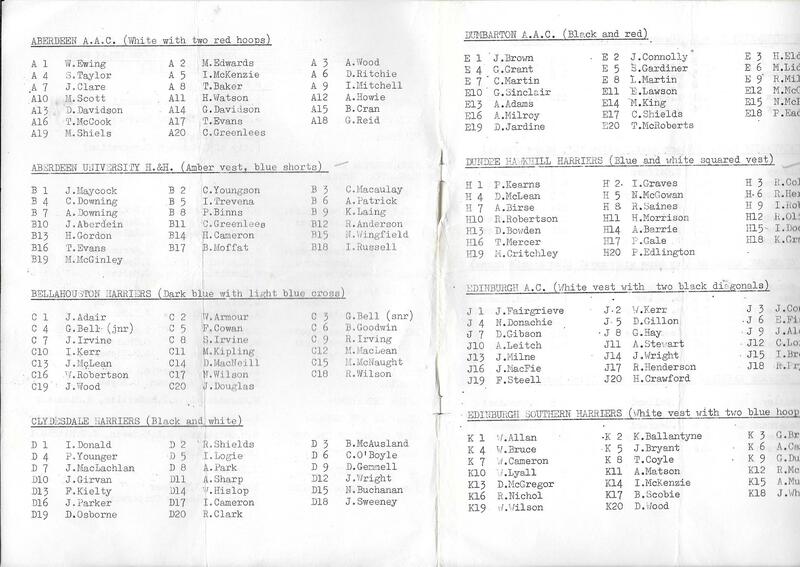 (Foolscap was about the size of a sheet of A4). 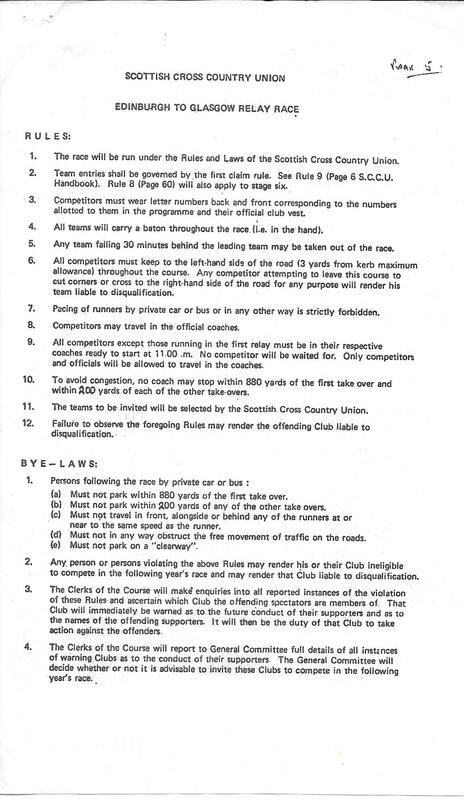 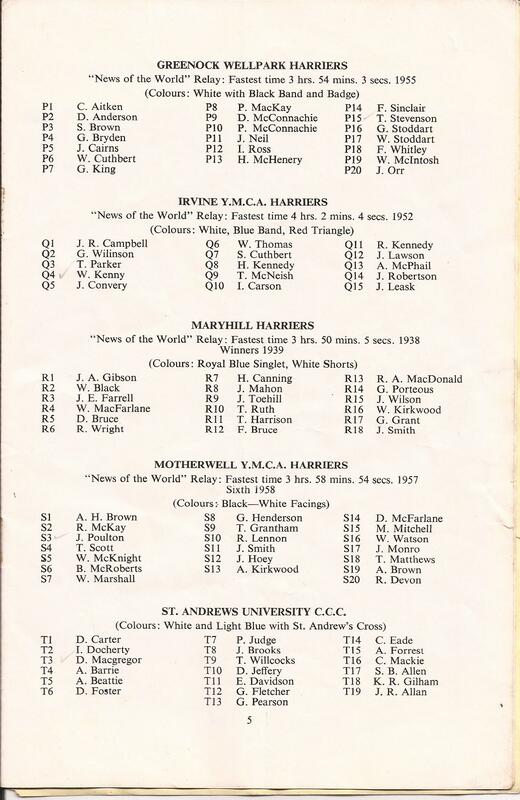 In 978 and 1979 following the withdrawal of News of the World sponsorship, the SCCU organised the race themselves without significant sponsorship. 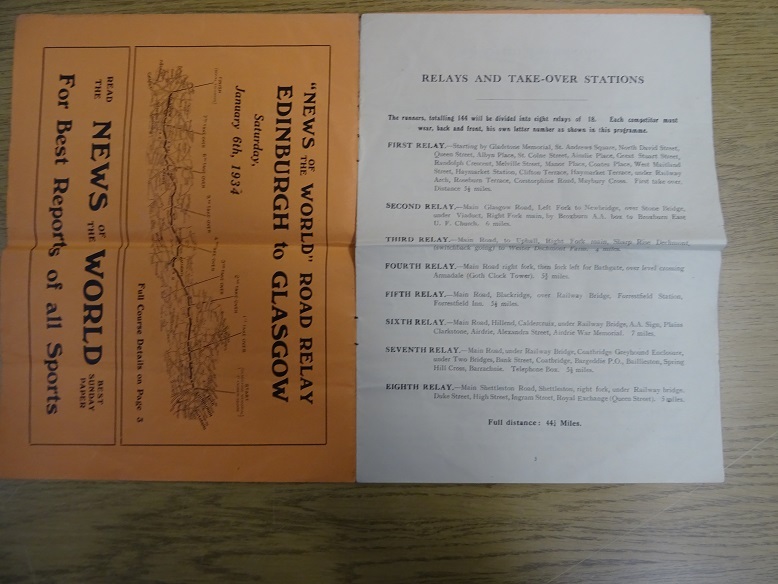 The first of their programmes is reproduced here.